Imagine trying to connect your iPhone to your computer, and your computer is refusing to detect your iPhone or even connect to it at all. This can be frustrating especially if you have something urgent to do with your iPhone. Before unplugging your iPhone in annoyance, are you aware that there is a way out? You can actually fix the problem of your iPhone not connecting to your computer. Let’s check out the things you can do to fix this problem. Part 1. Why iPhone Won't Connect to Computer? Generally, if you have a Windows PC, Apple’s products are typically not compatible with Microsoft Windows. So, whenever you connect these two, it becomes a case of one not wanting to be in the other’s business. But of course, an iPhone connects seamlessly with a MacBook. When trying to connect an iPhone to a Windows PC, one of the common bugs that users encounter is the inability of the Windows PC to detect the iPhone. This bug is what we are looking to help you find ways around in this guide. Things you will need to connect your iPhone to a Windows PC. Before we proceed, these eight tips can also come in handy in helping you connect your iPhone to your computer successfully. Check them out below. Restart both your computer and iPhone if they are not connecting to each other. After connecting your iPhone to your computer, leave it connected for some minutes for the computer to detect the phone. Try connecting the iPhone to another USB Port on the Windows PC. Your USB charging cable might be bad. Try another one and make sure it is original. Install iTunes latest version on your PC an try again. Upgrade your iPhone to the latest iOS version 12. If your iPhone is on Auto-Lock, unlock it with your password. 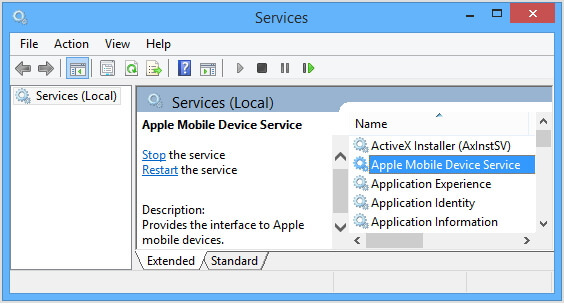 If you do not have Apple Mobile Device Service running on your PC, your iPhone will not connect to the computer. 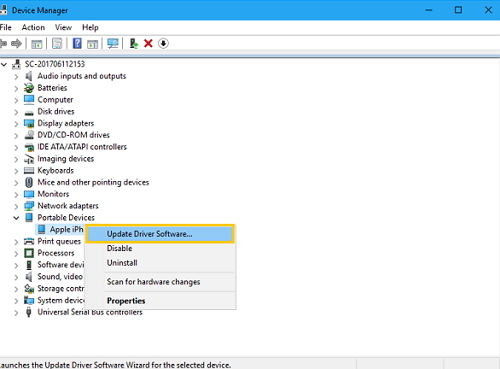 If your PC is currently running on either Windows 7 or Windows 8/8.1, check out the steps to restart Apple Mobile Device Service on your computer below. Close iTunes and disconnect your iPhone from the PC. Press the Windows icon on your keyboard together with the “R” letter key to activate the Run dialog. Type services.mac in the text box and press the Enter key. Click on Startup and set the type to Automatic. Click on “Start” to restart the service and then click on “Ok”. Turn off and turn on the computer, launch iTunes and connect your iPhone. If your iPhone connects successfully, then you have fixed the issue. If your iPhone is still not connecting to your computer, then you should try to update the driver for Apple iPhone. Exit the iTunes software and disconnect your iPhone. Unlock your iPhone and reconnect it to your computer. If iTunes launches automatically, close It again. Press the Windows icon key and “R” simultaneously. 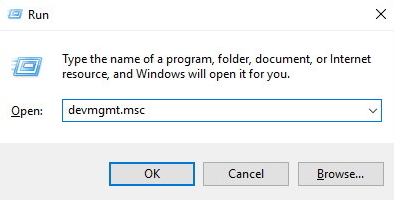 You will see the Run dialog box open where you will type in “devmgmt.msc” then “Enter.” After doing this, the device manager will open. Double-click on “Portable Devices” and from the list, right-click on “Apple iPhone.” Then from there, update the driver for Apple. Select “Search automatically," and the remaining steps will be displayed on the screen for you to follow. Launch iTunes and your iPhone will connect to your computer. If your iPhone still refuses to connect to the computer after following these steps, uninstall and reinstall Apple Mobile Device USB driver. If the iTunes on your computer is downloaded from Apple’s website, follow the steps below to reinstall Apple Mobile Device USB driver. Exit iTunes and disconnect your iPhone from your computer. Unlock your iPhone and connect to your computer. If iTunes launches automatically, close it. Press the Windows icon key and the “R” key simultaneously. 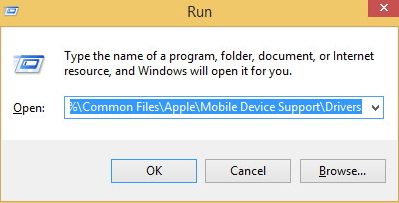 This will open the Run dialog wherein you will type %ProgramFiles%\Common Files\Apple\Mobile Device Support\Drivers. After typing this, press Enter. You will get a pop-up window. Right-click on usbaapl64.inf or usbaapl.inf file. Then, select Install. Ensure that the file you click on is the one that ends with .inf. If you are not sure, choose the one that has Setup Information as its file type. Remove the USB cable connecting your phone and PC from your phone from your PC and restart your PC. Connect your phone back to the computer and launch iTunes. If the problem of your iPhone not being recognized by computer persists, restart Apple Mobile Device Service. 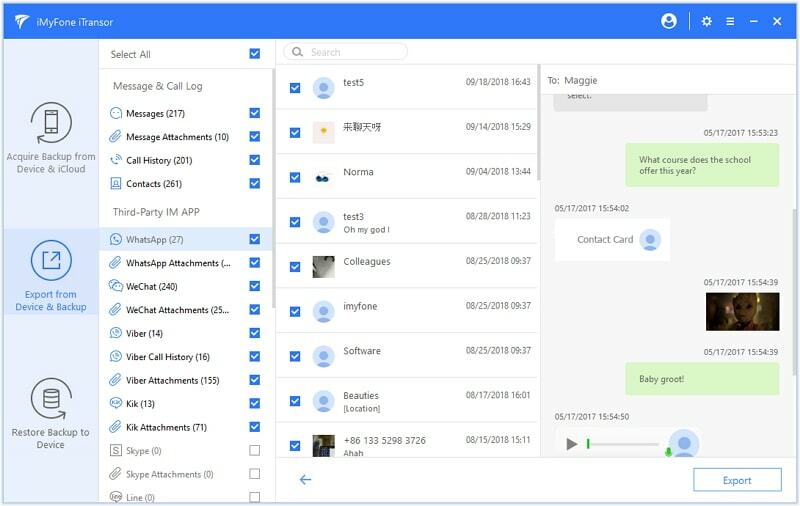 Even if your iPhone is not connecting to a computer and you need to access the data on the iPhone, you can use iMyFone iTransor formerly known as D-Port Pro. 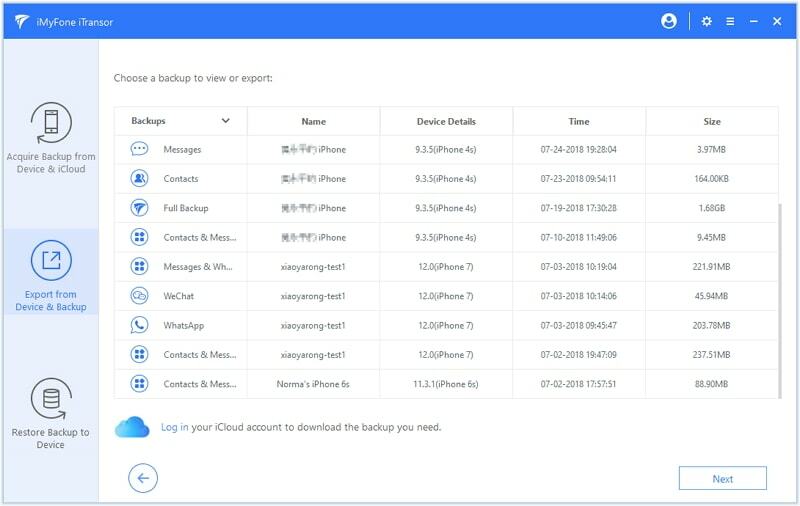 iTransor can do a lot for users who want to have access to the iPhone data or backup data, then restore the backup data to another iOS device. Here are more features of iMyFone iTransor. Easily access and view your iPhone data even if the device cannot be connected with the computer, or the device is locked and disabled. It is completely free to back up your iPhone or iPad with this program. Selectively restore specific data from iTunes or iCloud backup to iOS devices without overwriting previous backup. 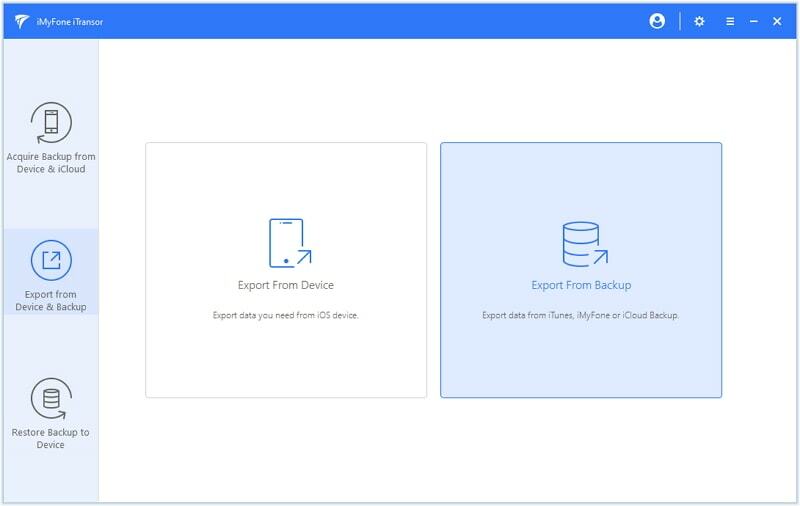 Preview and export data from iOS devices or from iTunes and iCloud backup. Step 4. iMyFone iTransor will start scanning the backup files you have selected, and you will see all the details immediately the scan is complete. Mark the items you wish to export and choose “Export,” and the location as well as the format you want to save the item in your PC. After some time, the files you selected will be exported to your computer so you can use them for whatever you want and at any time. If your iTunes backup is encrypted, you will need to enter a password to continue. You must have a reason for wanting to connect your iPhone to a computer, and it most likely is to access the files on the iPhone. 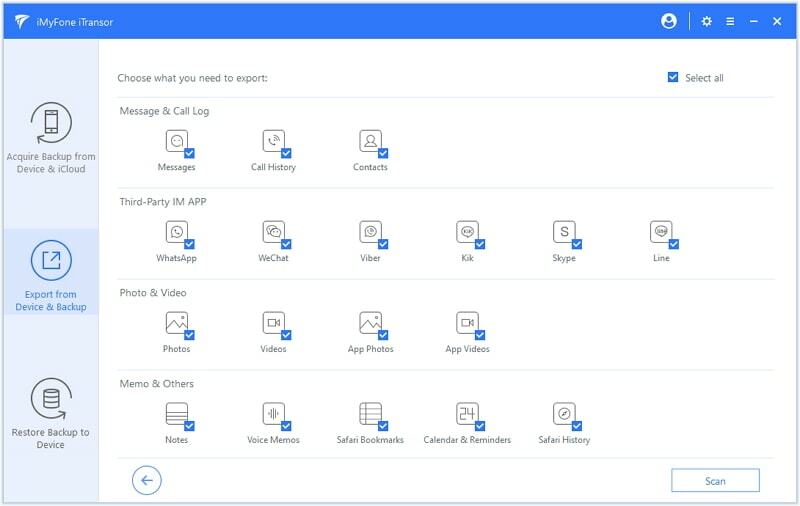 If, however, your iPhone won’t connect to your computer, iMyFone iTransor can help you access the files.